At least six persons have been feared killed in cult clashes in Boki local government area and Calabar in Cross River State. 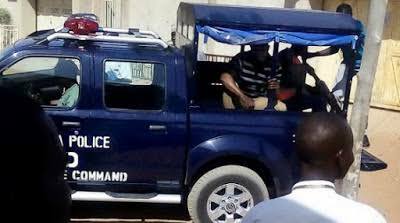 The Boki incident, a gun duel between rival groups, it was gathered occurred at Ogep-Okosom, claiming three lives with a Divisional Police Officer (DPO) sustaining gunshot wounds. The Calabar incident, according to Punch, also a gun duel within and around the University of Calabar, claimed three lives, leading to the early closure of the institution last Friday. While it could not be immediately ascertained what was responsible for the Calabar incident, it was learnt that of Boki may not be unconnected with quarrels over the ownership of plantations by politicians in the area. A source in Boki said: “It was a nightmare for us as we woke up to these cult members shooting themselves and putting everyone else in danger. “They even shot the DPO of our area, who I believe went to check the situation but fortunately he did not die. So far not less than three persons have been killed in the cult fight.